Thread: My sons new PB bass. My son caught this nice bass at Wemmer Pan this morning. 1.98kg. 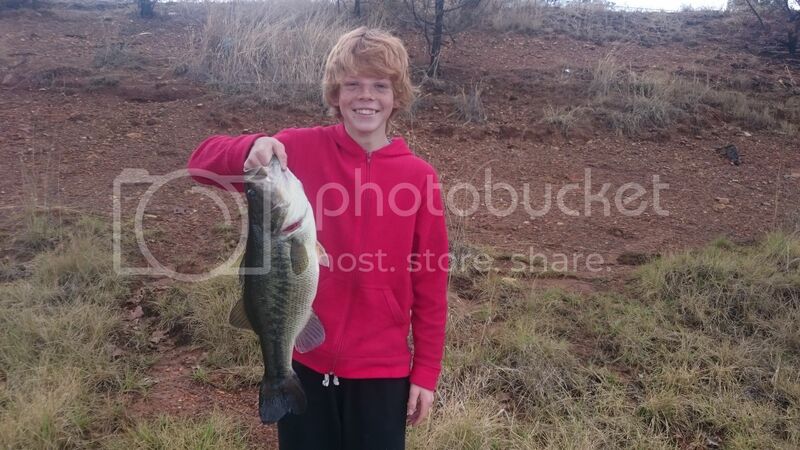 Re: My sons new PB bass. Yep. Wemmer pan. The fish have started biting in the last week and if today is anything to go by, it's going to be a good season. Nice fish Sean, congrats to Murphy Jnr. "Trespassers will be welcomed, and served a light lunch"
Thanks guys. He is seriously happy with his fish, especially because his PB is bigger than mine now. Awesome fish -- congrats to your son! Awesome!!... well done!....do you bank fish or boat fish? Where on Wemmerpan is it safest to park and launch my Fishing ski? Well done Sean and mini Sean. Do you use spinning gear or fly fishing gear?